There are many people out there who have witnessed the big internet boom in the 1997. It is also commonly known as the ‘Dot Com Bubble Burst’. A crazy time when anything and everything had its own site. Ranging from Pets.Com to Pizza.Com, every business jostled to have the sipful of the Dot Com kool aid. It resulted in a massive crash by 2001. They could not sustain their business, even with the help of crowdfunding. At that time it was compared with the stock market crash in the 20s and even the ‘Black Monday’ of ‘87. Unfortunately, in the present times, seeing the rise of Bitcoin, many are looking back into history and thus comparing it’s rise to the past debacles. They gauge it as another ‘Fad’ of the times. Well, they are wrong. A ‘Trend’ is the foundation that decides what the future shall bring. It is a prerequisite of upcoming change. Bitcoin, Ethereum, Litecoin and other cryptocurrencies are decentralized. That means that there is no one party that is governing it. It is independent and its trading or value depends on the people who are dealing with it and validating its transactions. The biggest support system that these cryptocurrencies have, is that they operate on Blockchain technology. Bitcoin is the end result of this technology. It is tamper proof and acts as a distributed ledger. Meaning, there is no one entity that is responsible for its data management. This acts as a cyber security feature and it prevents data from being hacked into. 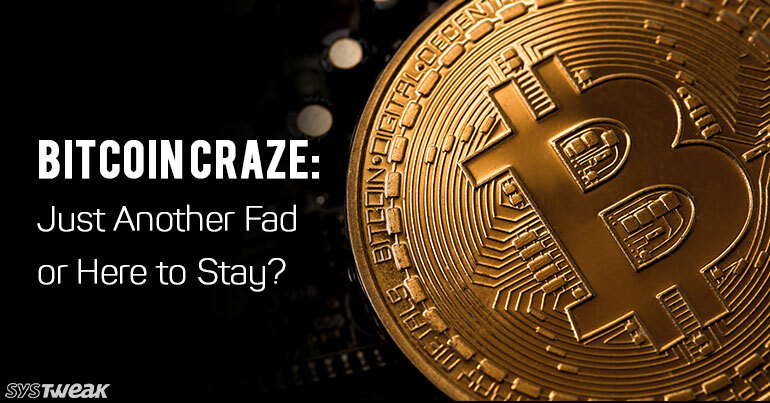 Also Read: What Happens to Your Bitcoin When You Die! Blockchain has the potential to not only trade and manage Bitcoin values but it can also store data such as Smart Contract. It has disrupted many agencies for the better. Few examples are the Tourism sector Education and Banking too. While we can write down sonnets praising the Blockchain, there is one aspect that can’t be denied. Hypothetically a Blockchain can be hacked. All that would be required is 51% of the board. The only thing stopping it from happening is the ethics of the people who are working on the board. The book keepers keep a keen eye out for such irregularities in order to prevent it from ever happening. There have been a few close calls, but nothing that wasn’t altered upon detection. Another thing that works against this disruptive technology is the finite number of 21 million Bitcoins. It is because of this, the naysayers get validated into believing that decentralized currency can never replace traditional currency. What they don’t realise is that Bitcoin acts as a gateway to the use of Ether, which creates opportunities to develop new technologies and services. It is an infinite loop. There is no end. These platforms can be used indefinitely to create new avenues of currency or value. The 90s were a period of media excess and frenzied stock market speculation. Now, is the time for a change. A disruption which brings in the change upon which our future generations may base their future on, one block at a time.